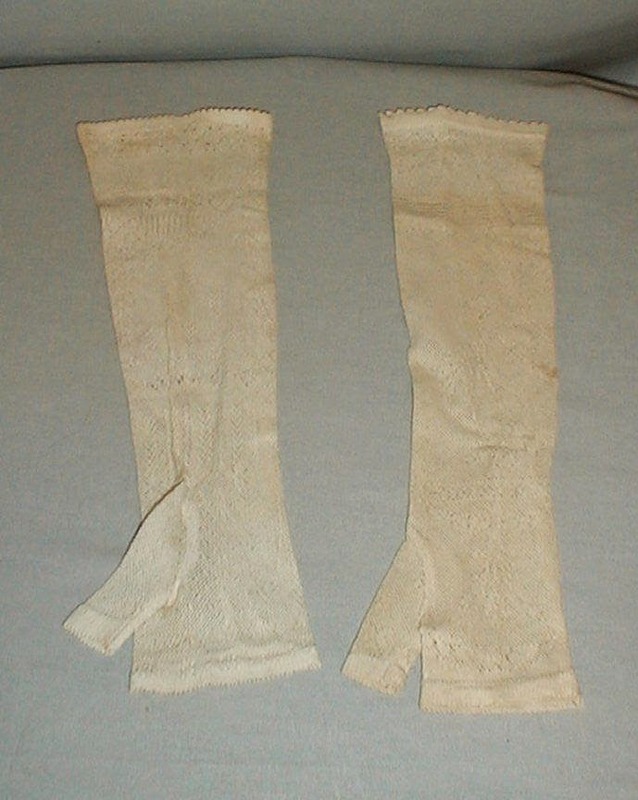 A fine pair of 1860’s cotton lace mitts/gloves. There are designed in the thumb style. 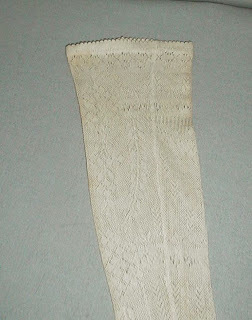 The fabric has an open weave pattern. The mitts are in very good condition. There are no breaks in the lace. There are a few small age spots on one of the gloves. Length 13 inches. I'm not sure which decade these are from. Fingerless mittens were popular for a long time before the 1860's and a long time after - they are still pretty popular today. 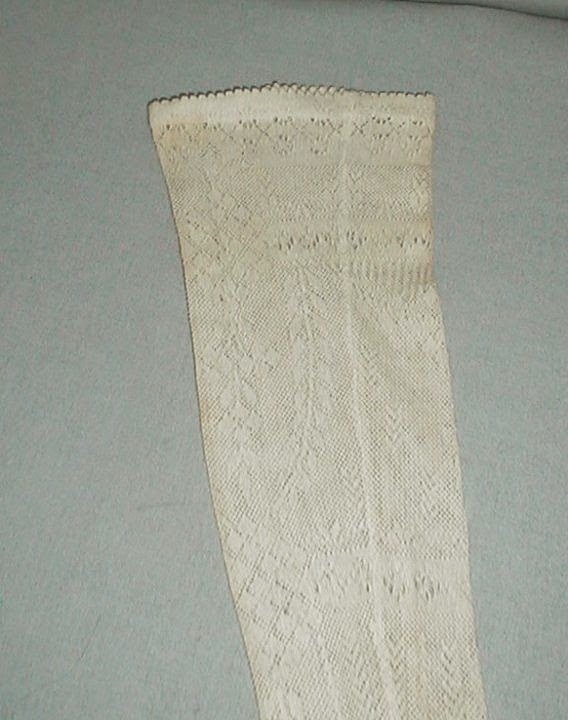 Based on the lace style, I'm thinking earlier than 1860's but I'm not really sure. Anyone else want to take a stab at it?